Morning after breakfast drive to Bikaner. Arrive Bikaner & check-in hotel. 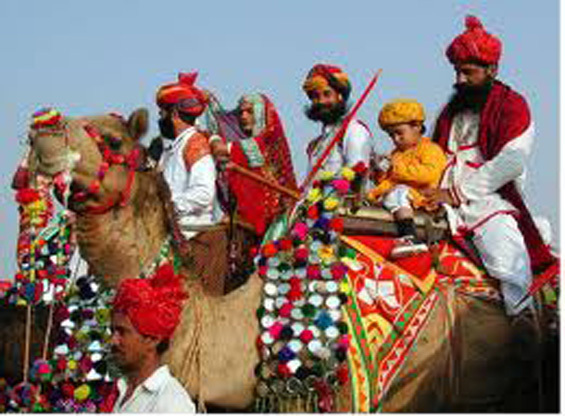 Later proceed for city sightseeing tour of Bikaner. Bikaner is named after its founder Rao Bika Ji in 1488. But long before this, the city was trade center on the caravan routes from Africa and West Asia. Bikaner's dominant features are rippling sands and abundant sunshine. The city stands on an elevation, enclosed by a 7 Kms wall, which can be entered from 5 gates. Bikaner City is bolstered by imposing walls and has a 16th century fort housing old palaces, temples and mosque. Founded by Raja Rai Singh the fort is distinguished by its long range of 37 pavilions, a line of balconies and aerial windows of varying designs. Also visit Lallgarh Palace, the museum, and Bhanda Sagar Jain and Deshnoke Rat temple. Night stay in Bikaner. Morning after breakfast drive to Jaisalmer. 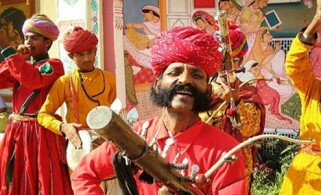 Arrive Jaisalmer & check-in hotel. Rest of the day at leisure. Night stay at Jaisalmer. Morning after breakfast proceed for city sightseeing tour of Jaisalmer visiting the burnished sandstone Jaisalmer, Throbbing in the heart of the Thar, is an intricately molded wonderland in place of a barren land, today stands a city of gilded magic. The origins of Jaisalmer go back to the 12th century, when Rawal Jaisal abandoned his old fort at Ludarwa and laid the foundation of a new city. Visit the magnificent fort, the Patwon Ki Haveli (Mansion) and Salim Singh Ki Haveli, with their carved balconies and brackets, which are supreme examples of the art. 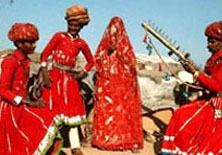 Evening enjoy camel ride – along with culture program and Dinner. Night stay at Jaisalmer. Morning after breakfast and drive to Jodhpur. Arrive Jodhpur & check-in hotel. Rest of the day at leisure. Night stay at Jodhpur. Morning after breakfast and drive to Udaipur en-route visiting the Jain temples at Ranakpur superbly preserved in a near-perfect condition for over 500 years. The most attractive features are the 29 halls of the temple, which have 1444 pillars of which no two are alike. After visiting continue drive to Udaipur. Arrive Udaipur and check-in hotel. Night stay at Udaipur. Morning after breakfast and drive to Deogarh. Arrive Deogarh & check in the hotel. Later proceed for city sightseeing tour of Deogarh. Deogarh is a delightful small town reminiscent of a Rajasthan. Deogarh Mahal, an exquisitely restored, hilltop fort. Afternoon exploration of the typical Rajasthani village surrounding the fortress before paying an evening visit to the fascinating cave temple and a stunning view point at sunset. Night stay at Deogarh. Morning after breakfast and drive to Jaipur. Arrive Jaipur & check in the hotel. Rest of the day at leisure. Night stay at Jaipur. HAWA MAHAL - The ornamental facade of this "Palace of Winds" is a prominent landmark in Jaipur. Their five-storey structures of sandstone plastered pink encrusted with fine trelliswork and elaborate balconies. The palace has 953 niches and windows. 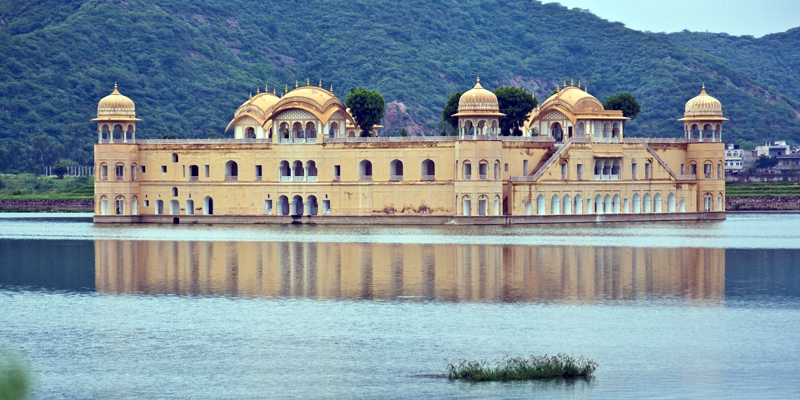 Built in 1799 by Pratap Singh, the Mahal was a royal grandstand for the palace women. Night stay at Jaipur. Morning after breakfast and drive to Agra en-route visit Fatehpur Sikri , a perfectly preserved red sandstone “ghost town” which was the estranged capital of mughal emperor Akbar, built in 1569 and deserted when its water supply failed. Arrive Agra and check-in hotel. Later proceed for city sightseeing tour of Agra. The home of the immortal Taj Mahal, the inimitable poem in white marble is the first expression of love of an Emperor Shahjahan for his queen Mumtaz Mahal. This great monument was completed in 1653 AD. Agra Fort, the imposing structure on the banks of the river Yamuna is replete with priceless examples of craftsmanship in the Mughal period, including the beautiful pearl Mosque; it was designed and built by Emperor Akbar in 1565 AD. Night stay in Agra.